CiteScore is essentially the average citations per document that a title receives over a three-year period. This offers a more robust and accurate indication of a serial’s impact. 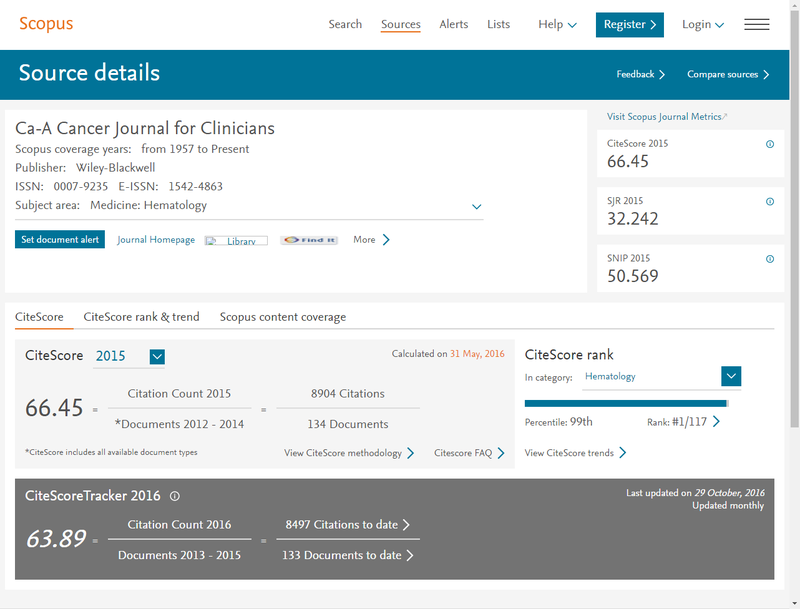 As an example, to calculate a 2015 value, CiteScore counts the citations received in 2015 to documents published in 2012, 2013 or 2014. The citation count is then divided by the number of documents indexed on Scopus published in 2012, 2013 and 2014. 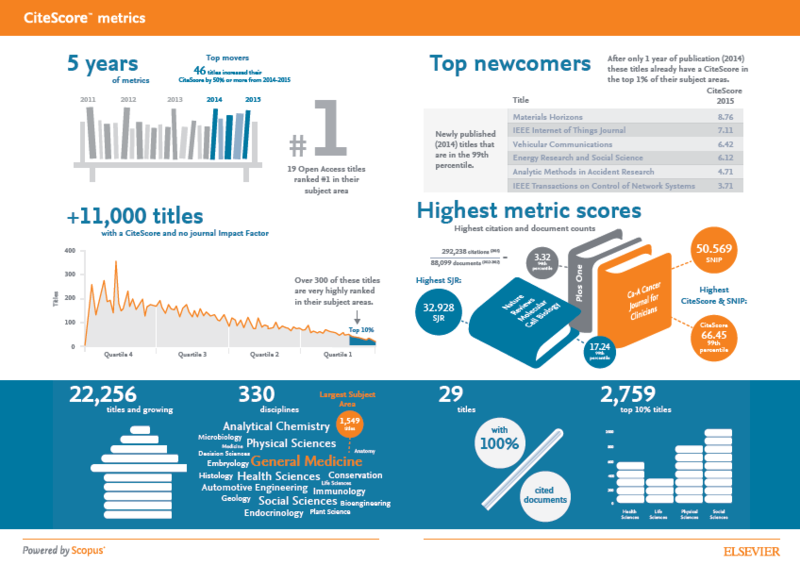 Comprehensive: A CiteScore 2015 value is available for most active serial titles in Scopus ― journals, book series, conference proceedings and trade journals ― that started publishing in 2014 or earlier. CiteScore does not discriminate: If a serial title can be cited, CiteScore will count it. Transparent: Simple to replicate, the calculation of CiteScore is straightforward with no secret algorithms or hidden details to influence results. The Source Details screen on Scopus displays the exact figures used to determine each CiteScore value. The calculation makes it easy for you to validate the individual metrics based on the underlying data on Scopus. Keeping Current: With CiteScore Tracker, you can also keep an eye on how the current year’s CiteScore is building each month until the next annual CiteScore value is released. We invite you to be among the first to explore CiteScore metrics. Reveal, analyze and validate citable sources to gain better insight before making decisions. CiteScore metrics are part of a multi-dimensional basket of metrics that will continue to evolve and grow with input and guidance from you, the research community. Add your voice and get involved to help define the basket of metrics.